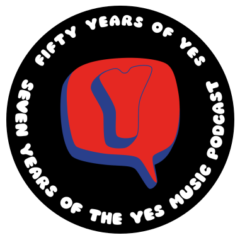 After a fantastic first four months of the Yes Music Podcast, here is a very short episode for the New Year, with a few ideas I’m thinking of developing in 2012. Please let me know what you think of the ideas. I hope you all have a great 2012 and thanks so much for listening and getting involved in 2011! Apologies that the sound quality is not as good as usual. I need to do a lot more experimenting with the new set up! I think that G+ would be a great place for your podcast its I fine way better than Facebook to much drama on Facebook and not the Great Drama that we as Yes fans have come to know and love. Happy New Year! hope to hear great stuff on here I have only been able to share my love of this band with so very few however the few that I have shared with have the same love as all Yes fans. I will be listing in 2012! Thanks for the comment! I will seriously consider G+ this year. I tried to set it up previously but couldn’t get it to work. Thanks for all your support so far and in 2012.